The Bogen BUFEX is a continuously variable speaker attenuator that can remotely control the volume of a network of speakers. The BUFEX also provides output buffering for up to 150 self-amplified speaker inputs and allows speaker system expansion of existing 100V, 70V, or 25V central amplifier systems. It includes a bypass function that can override the volume control knob setting when activated by a contact closure or open collector output. 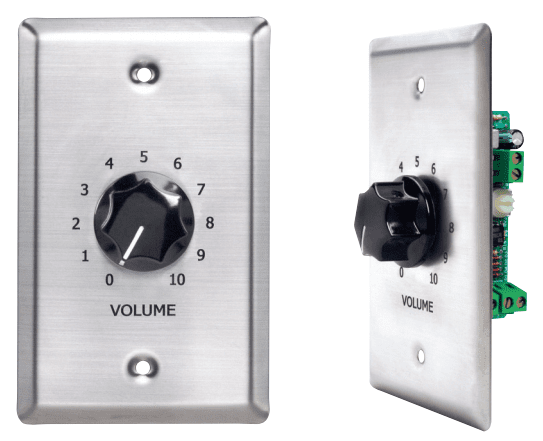 This allows emergency announcements to be heard through all speakers in a system even if the volume control knob setting is set low or off.